My three children, the reason for everything I do. Wow, I don’t know about all of you, fellow Moms, but if your end of 2018 was anything like mine, you got so busy that blogging took a back seat to end of year client work, decorating your own homes for Christmas, spending time with your kids creating special memories, shopping for gifts, wrapping gifts, cooking++++!! Now that I’m able to breathe again, ( and I hope you are, too! ) , I can finally sit down to write my 2018 Year In Review blog post to help me remember some of the wonderful moments that made 2018 a great year both personally and professionally + to share a few of the things I’m looking forward to in 2019! First and foremost, I want to thank you to my wonderful clients for allowing me the privilege of designing your homes. I am so fortunate to get to do what I love to do, every day, thanks to your trust in me. I started working on the design and construction plans for several homes in 2018, but most are still in progress. However, I’m having one of them professionally photographed right now and can’t wait to share it with you here on the blog, soon! This kitchen I designed was a favorite of many of my friends over on Instagram at http://instagram.com/janadonohoedesigns. I love that my clients are enjoying their new kitchen so much. That means everything to me! Speaking of kitchens and kitchen design, one of the biggest highlights of 2018 for me was being selected to go on Veronika Miller’s #BlogTourKBIS in January 2018. Veronika Miller is the owner of Modenus Media, and the websites, www.modenus.com + www.designhounds.com and every year, she selects a group of interior designers and kitchen and bath designers to go on this prestigious group trip to the National Kitchen and Bath Association’s annual tradeshow, known by the hashtag, #KBIS. 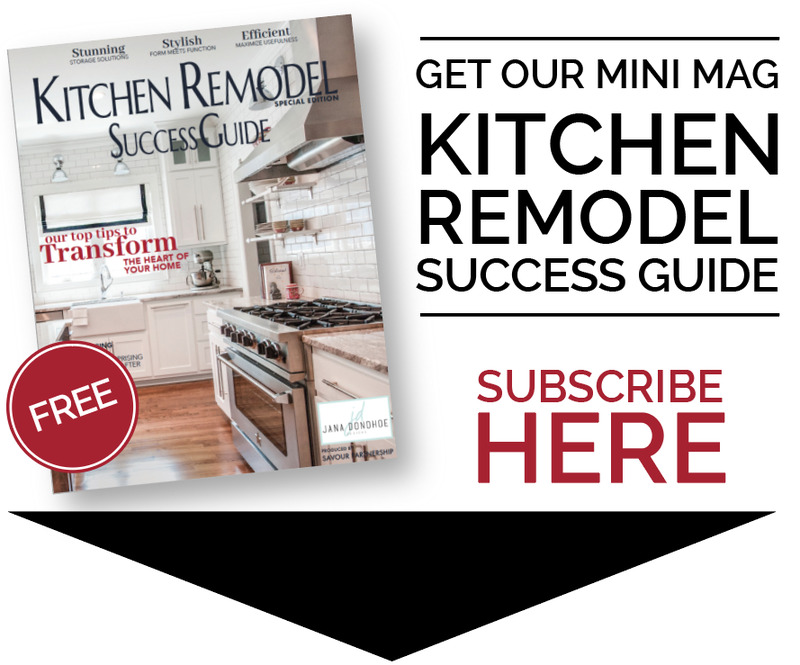 This is the largest wholesale kitchen and bath tradeshow in the United States, with over 100,000 attendees, and it’s where I go to get educated about all of the different options in kitchens and baths I can specify for my clients. I would’ve gone, even if I hadn’t been invited to be a part of this, but having my trip underwritten by the brands that sponsored it, and being able to learn so much more about their products ( read about it all here) + being able to meet and learn from these new design besties from all over the US, UK and Canada. It was such a fun time for me! After attending #KBIS2018 in January, the next big highlight for me was being invited to go to the Abner Henry Fine Furniture factory in March in Mt. Hope, Ohio, to try my hand at learning how to make furniture, myself. It was so interesting and really taught me a lot about how much labor and skill goes into making even one piece of fine furniture that’s built to last a lifetime. The next big highlight of 2018 came when I completed the re-design of my own entryway for the Spring 2018 #OneRoomChallenge. Participating in the #OneRoomChallenge events every Spring and Fall is the only way that has worked for me to make the time to design my own home, as everything has to be designed, purchased, installed and photographed within 6 weeks! Having that deadline forces me to concentrate and just get it done! After I finished the Spring #One RoomChallenge, I wrote a post about how to make Tailored Transitions from one part of your own home to another, especially when it comes to flooring transitions. There’s a lot of useful, specific information in it for you, if you need help. You can read that post by clicking > here. There were over 175 guest participants in the Spring #OneRoomChallenge and anyone of YOU can participate, too, if you have a blog or an Instagram feed, as long as you follow the rules, which can be found over on the www.oneroomchallenge.com website. After the Spring #OneRoomChallenge, client work and going to the Spring 2018 #HPMKT in April for work, I was ready to rest and recharge a little bit in late April with my family in our beach house over in Kure Beach, NC, and I wrote about that, here. This is our front porch, and every time we get to go, it instantly relaxes me to be able to sit here and have a cup of coffee in the morning or a glass of wine in the evenings with my husband. In June of 2018, another professional highlight occurred as I was invited to go to the GE Monogram Center in Chicago to learn more about their kitchen appliances and how to help my clients learn to cook well with them. I had such a great time, and shared a wonderful recipe they made for all of us who were there, for Grilled Peaches, on my June blog post about it, here. Then, in July, I celebrated my 5 year anniversary of being in business for myself!!! Yay me. Seriously, though, I have been so fortunate to have clients (some of YOU!) who were willing to take a chance on me when I was just starting, and who have referred me to their friends. Thank you! On a side note, in the second half of 2018, many people lost their homes after the flooding from Hurricane Florence that hit Fayetteville, North Carolina, where I live, especially hard. I’ve been working quietly behind the scenes since then, doing what I can do to help people recover from this devastation. Hurricane Florence was a reminder to me that everything I value can be gone in an instant, and it made me re-evaluate how I was spending my time. Luckily, our own homes were not impacted. After Florence, I stayed closer to home, helping my kids catch up with the school they missed, until it was time for a long planned trip to Austria, Switzerland and Lichtenstein with my family in late September. We had such a wonderful time there, and every time I’m able to get away for a travel adventure, I come back so refreshed and with so much more design inspiration and historical design knowledge than I had before, that I can immediately use to take my work for my clients to another level. Following on the heels of this family travel adventure, it was then time for Fall High Point Market in October. I love going to this market and had a great time seeing so many beautiful new products from my vendors and learning so much from all of those that spoke about various aspects of running an interior design business. One of my main tasks while there, besides sourcing for my interior design clients, was trying to find showroom samples that would help me furnish my own dining room for the Fall 2018 #OneRoomChallenge. I wrote extensively about that on the blog, and the final reveal post is here. This is how my dining room turned out. You can see that I had to be really mindful about how I transitioned from my hallway to my dining room, given that they open on to one another. One of the posts I wrote during this time was one that you liked best this year - my guide on How To Install Grasscloth Wallpaper, which is what I installed on my dining room walls and in the backs of my bookcases in the image above. For those of you who missed it the first time, please click here to see it. It will help you know how to avoid all the mistakes that might cost you money, as hanging grasscloth wallpaper is very different from hanging normal wallpaper! Without a doubt, the #1 personal highlight of this year for me was seeing my own children, even my 5 year old son, enjoy learning how to set our table for Thanksgiving. After all the devastation and displacement from Florence, I wanted to do something to create a very special memory with them, so I let them each pick out their own tableware pattern, and bought place settings for each of them that I hope they will have for the rest of their lives. We had such a fun time together and I wrote about the experience, here. Between Thanksgiving and Christmas, it was non-stop busy for me, as I know it was for many of you, too, but I made time to hire a photographer to capture pictures of my children as they were gathered around our family Christmas tree this year. I never want to forget these moments - they are only this age once. After the busyness of Christmas, I spent my birthday and New Year’s Eve in Grenada with my husband and my sister and her husband. It was a wonderful trip and a beautiful island! As I look ahead now into 2019, I see a future evolving for me that includes more time with my children, being able to do fewer, but larger projects for my clients, and an exciting new opportunity for my husband (he’s developed an app that is going to change lives - it will launch soon!) and more time for family and work travel. I love exploring new places, seeing my family enjoy themselves, and learning about new products that help me help my clients live their best lives. On that note, I have once again been invited to join Veronika Miller’s Design Hounds tour to the National Kitchen and Bath show next month and this time, I am excited to be joined by my good friend, Stephanie Slifer. I look forward to getting to meet and know everyone else that I don’t already know that will be in Vegas with me, and invite you to learn more about all of them on this post. 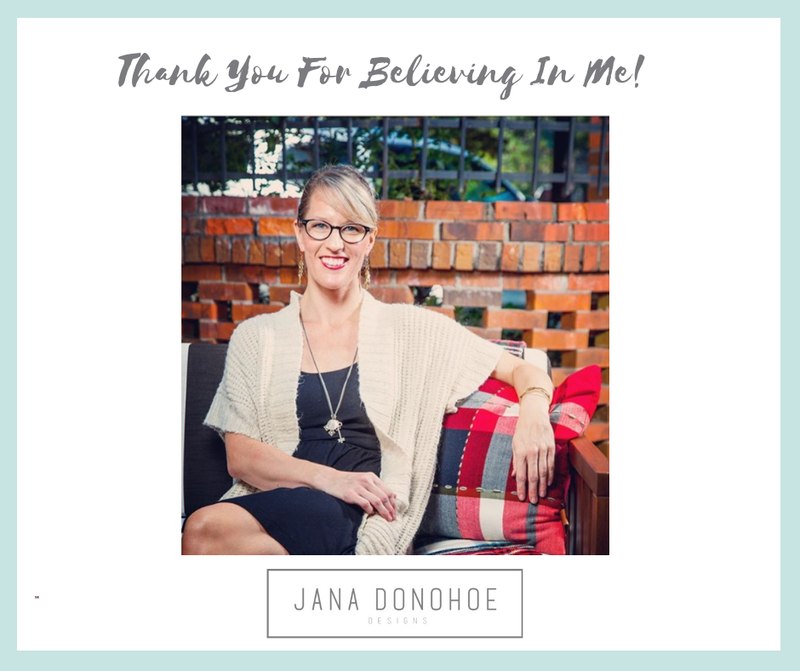 I will be posting about all of my favorite finds in my Instagram STORIES at http://instagram.com/janadonohoedesigns and, of course, here on the blog once I return. if you want to join in virtually with all of us who are going, follow the #KBIS2019 tag on Instagram. Lastly, I would like to help you, my readers, save time by giving you some of my own travel essentials for when you’re on the road. You can purchase these by clicking on the links below the image - it won’t cost you anymore than buying directly, as the merchants I feature pay me a small commission in return for showcasing their products on my blog. Thank you, ALL, for making 2018 such a great year for me, and especially to my children, husband and family, who are the heartbeat of my life. And my friends….until we meet again! Thank you for your friendship, support and laughs! I love you all and wish you a great year ahead for your businesses, too!